"Reduced recidivism means reduced crime." 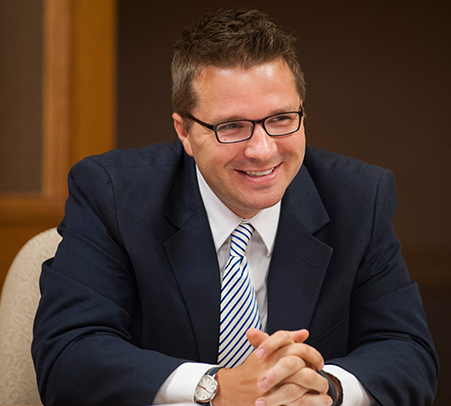 MADISON – State Representative Evan Goyke (D-Milwaukee) will reintroduce bi-partisan juvenile justice reform legislation requiring the Wisconsin Department of Corrections (DOC) to study and report on the implementation of the “Missouri Model” of incarcerating juveniles. In recent weeks, this promising juvenile justice model has been highlighted in Wisconsin by the Milwaukee Journal Sentinel and in a recent year-end interview by Attorney General Brad Schimel. Last session, Rep. Goyke introduced Assembly Bill 746 following his personal visit to Lincoln Hills in December of 2015 after learning of the alleged abuses and subsequent investigations. This legislation received bi-partisan support in the State Assembly. “Our current model of incarcerating children does not work. One large institution, hours away from the State’s largest population center, has led to unacceptable outcomes and unsustainable costs. The cost of incarcerating a child at Lincoln Hills is enormous. The recidivism rate for incarcerated youth is alarmingly high. Reduced recidivism means reduced crime. By utilizing smaller facilities closer to home, this model has produced better outcomes at a lower cost. The adoption of a new model will increase community and facility safety and decrease recidivism by creating a better secure environment for jailed children in Wisconsin. Congrats on pushing forward….Our youth are too important to be ignored! We must handle the situation exposed at Lincoln Hills and Copper Lake.